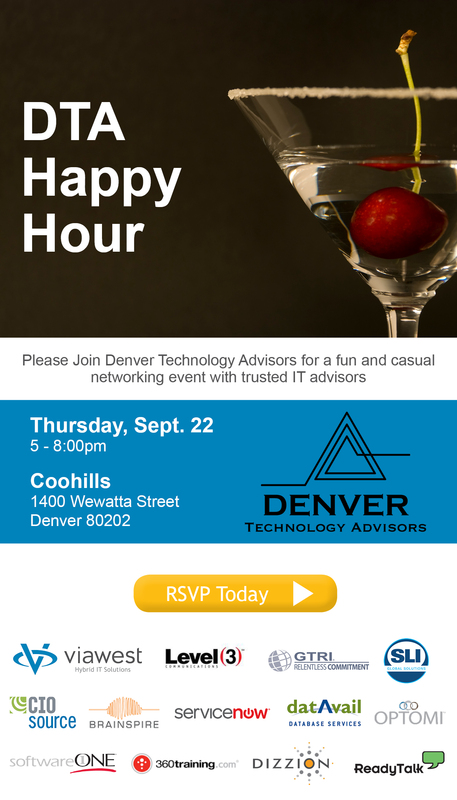 Please join the DTA group in a high level networking event where we try to bring together IT leaders and growing technologies at Coohills Restaurant. Drinks and appetizers will be provided and we will be located in the bar area of the restaurant. Parking validation is also offered for the parking garage within the building, the entrance to the parking garage is off of Wewatta through the alley. We look forward to a casual evening with trusted partners.